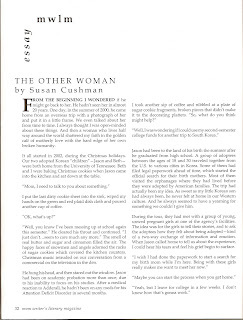 >Last winter I wrote an essay, titled it “The Other Woman,” and began to search for a publishing home for it. Ironically (you’ll get this when you read the essay) it was rejected by five publications before I discovered a good home for it. Mom Writer’s Literary Magazine is available both in print and online. I found it when I noticed it in the credits of another writer whose essay was published in skirt! Magazine, so I decided to give it a try. What I discovered was more than a good fit. I discovered a good magazine. 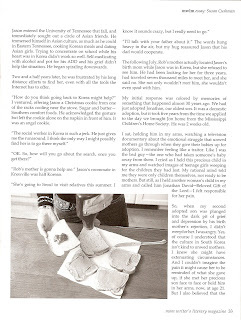 The Summer 2008 issue was impressive, and included poetry by Beth Ann Fennelly and an interview with actress Janine Turner. I posted about the issue about a month ago, here, when I got the news that they had accepted my essay for publication. 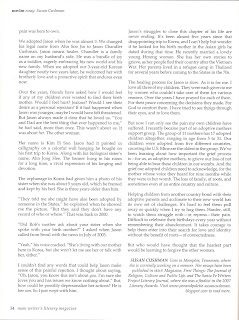 When the Winter 2008 issue of Mom Writers Literary Magazine (right) arrived in my mailbox today, I found my essay on page 32, but when I clicked on the link to it in the contents on the home page, I found that only the beginning of the essay is available, unless you subscribe to the magazine, which you can do here. Later I gobbled up the great essays, poetry and features immediately. I especially liked Lee Doyle’s essay, “Letting Go of My First-Born,” which of course I thought would be about her child, but it was actually about her first published book, which, as all writers know, is like a child. 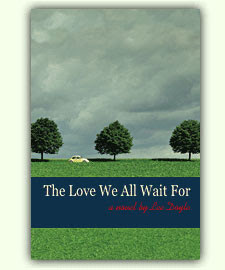 Her first novel, The Love We All Wait For, was published in September, won “Best Novel” at the 2006 East of Eden Writers Conference and was a finalist in the National Best Books 2008 Awards, sponsored by USA Book News. She’s already at work on her second novel, The Sweet Mundane. 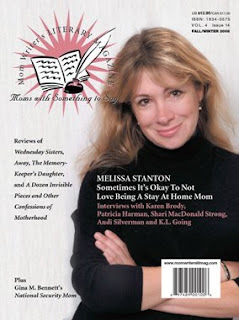 Mom Writer’s Literary Magazine also has great book reviews in each issue, as well as poetry. It was picked by Writer’s Digest Magazine as one of the 101 Best Web sites for Writers in 2006, 2007 and 2008. So… all you moms who are writers, or “just moms” (which we all know is enough!) or “just writers”—I highly recommend this magazine. Okay, for my writing friends (or “just friends,” which is also enough!) who are curious about who rejected the essay, here’s the list: Redbook Magazine, The New York Times Magazine, Narrative Magazine, LiteraryMama.com, and Real Simple Magazine. I guess they’ve got bigger fish to fry. Or at least that’s what they think.